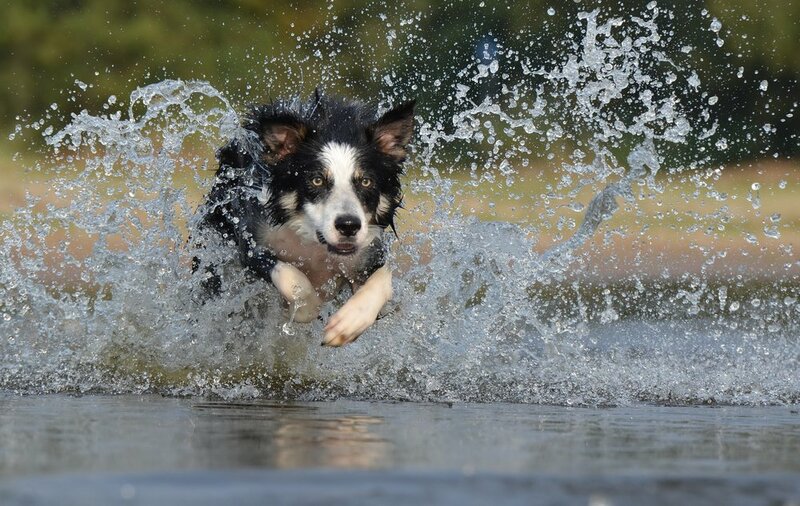 We are a growing network of Border Collie lovers. Incorporating owners, rescues, fosterers and behaviorists, we offer a safety net for Collies that are advertised free on websites such as Preloved, Gumtree and Freeads. I had become aware of the scale of the problem for dogs being offered free because of a dog chat forum I belonged to. At that time it was all about the issues of bait dogs for the dog fighting community and I joined a group of people that looked for the free adverts and messages the owners warning about this. We would send out a standard message and hope that we were helping the dogs involved. I soon realised that the enormous amount of 'free dogs' was too big to even begin making a difference. Aware that all breeds were being looked at by the other people helping I decided to just concentrate on Border Collies and they are my passion and I hoped that by concentrating on a few I could then help more. That same week I found the advert for Stout and Diva (who are to be found in 'Success Stories') they were local to me and it was obvious after talking to the owner that this was urgent and needed more than just warning the owner of the dangers out there. That's when this started, somehow within 2 days I had them on their way to Border Collie Spot Rescue, and I realised that it was actually possible to find rescue places for the free collies if the owners were willing and needed help. Originally I thought that the sole problem for the Border Collies in this situation was the dog fighting community. However I started Protecting Preloved Border Collies on Facebook and more collie lovers joined; we found an ever increasing amount of collies that needed us, and their owners desperate for help. As we became involved in the situation of each 'free to good home' adverts the bigger picture emerged. As collie lovers we all know that if a collie is placed in a home that isn't suited to him, with owners that don't understand the needs of Border Collies things go wrong. Behavioural problems emerge in the collie and things spiral downwards. In desperation the owner can't cope and decides to re-home the collie by advertising them free. Someone sees the advert and thinks 'would quite like a collie, its free, lets get it'. In its new environment the collie is confused/scared/stressed, behavioural problems escalate. The new owner doesn't know what to do, inevitably either keeps the collie in a way that is totally unsuitable to control his behaviour or the collie is re-advertised free. And so it goes on, with the collie being moved from pillar to post in a never ending cycle of misery/fear and stress. There are however many owners that love their collie but life happens: relationships breakdown/illness/relocation/working hours etc. may make it impossible to keep their collie. These owners are heartbroken at having to rehome their dog, rescues are full, what else can they do but offer them on Preloved/Gumtree/Freeads? Lets offer the collie free because then more people will be able to offer a home. The shock that the owner get when we tell them the dangers of doing this, many are mortified and remove their advert, or ask for money instead of giving away. The relief I've heard in the voices of some owners when I offer our help is overwhelming. They don't know where to turn and we offer a safety net and change their situation into one of hope and peace of mind because we can keep their collie safe and the enormity of what we do is something I never envisaged when this started.